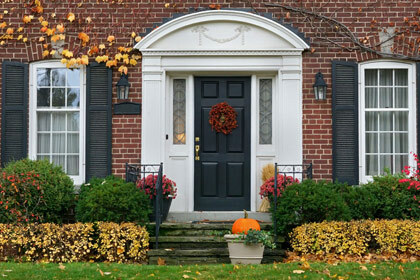 Summer is winding down, and as your grass grows even greener, it’s time to start thinking about how you can prepare it for fall, especially if you plan to stage your home for sale. Pay mind to the following tips on late summer lawn care. Aerate the area. Late summer/early fall is a great time to aerate your soil so that oxygen, water, and fertilizer will better penetrate your grass’ roots and support it as sunlight dwindles. Mowing matters. You’ll want to keep mowing all summer and into fall, but as the days shorten, move your mower blade to the lowest setting to trim the grass tight and let more light reach the crown of the grass. Bonus: less length in your grass means less leaves to turn brown come winter. Weed, weed, weed. Take some time each weekend to weed your lawn all summer, to boost your grass growth and set it up for a healthy fall season. Lose the leaves. Raking leaves can be hard work, but doing so will save the life of your grass. As leaves begin to come down in late summer, clear them off to support your lawn. Fertilize in fall. When fall hits, experts agree it’s time to fertilize, delivering essential nutrients to allow your grass to grow deep roots and a healthy reserve for next spring. Source: Reprinted with permission from RISMedia ©2018. All rights reserved.